"My pen loves gossiping to paper about my imagination's secrets." A shallow heart echos, resounding emptiness. 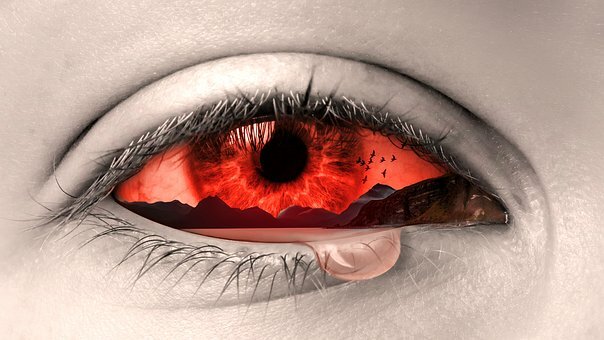 Tears fixate to the life of lacrimal glands, eschewing the outside world. Loneliness engulfs a bruised soul, masking the stimulus of the pain. Blood flowing through veins stops at a broken traffic light, it no longer changes to green—just occasionally yellow. Bone chilling cries for help only reach as far as your own brain, no one hears you. Shattered pieces of your confidence litters the ground beneath you, with edges too sharp to pick up. A breath of air is like lava flowing to your lungs, you a parched. The light at the end of the tunnel just fused. Can you find a way out? © Jenoy Merchant and merchantwritesagain.wordpress.com, 2019. Unauthorized use and/or duplication of material from this blog without express and written permission from this site’s author and/or owner is strictly prohibited. Excerpts and links may be used, provided that full and clear credit is given to Jenoy Merchant and merchantwritesagain.wordpress.com with appropriate and specific direction to the original content. You may contact the author and/or owner for further information regarding the use of materials from this site.